Until a couple of months ago I was absolutely terrified of making my own pie crust. Any and all desserts that involved pie crust started with one out of the freezer aisle in the grocery store. Then one of my coworkers asked if he could order a pie as a treat for his family for Rosh Hashanah. My first instinct was to say no, after all, I had never made a pie crust, and didn’t want to try it for the first time on a customers. But as I have mentioned before, I never like to turn down a customer, so I did some research, and I said yes. I explained that it was going to be my first time making a homemade pie crust, and he agreed. I spent a long time searching the internet for advice and information related to making homemade pie crusts, and came upon this phenomenal tutorial from Brown Eyed Baker (who happens to be one of my favorite baking bloggers, I trust her and her recipes completely. I took some step by step pictures and will try to make it as simple as she did, but really, if you want to learn about making homemade pie crust, I urge you to check out her post. 2) The less you work the dough, the more tender it will be. Additionally, a little advance planning will help you tremendously in the process. 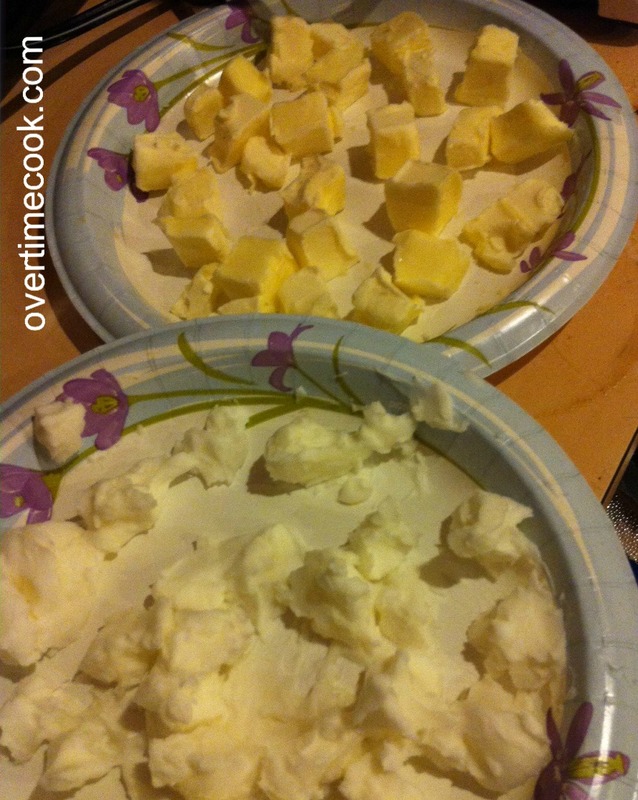 When I know I am planning to make flaky dough, the first thing I do is cut my butter and/or shortening into small cubes and place them in the freezer. Shortening doesn’t form the prettiest cubes, but don’t let that trouble you. 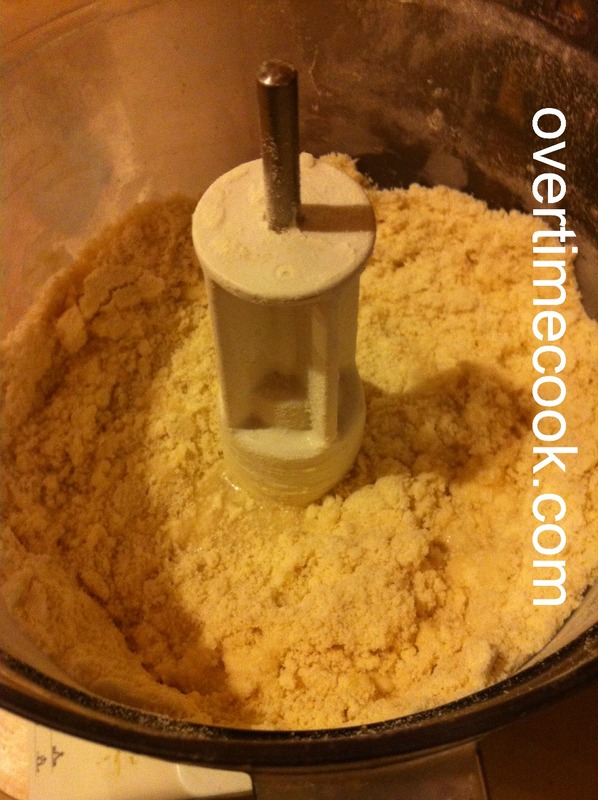 Pulse the flour and butter together using short on/off bursts, about ten times, until the mixture resembles coarse and uneven crumbs. 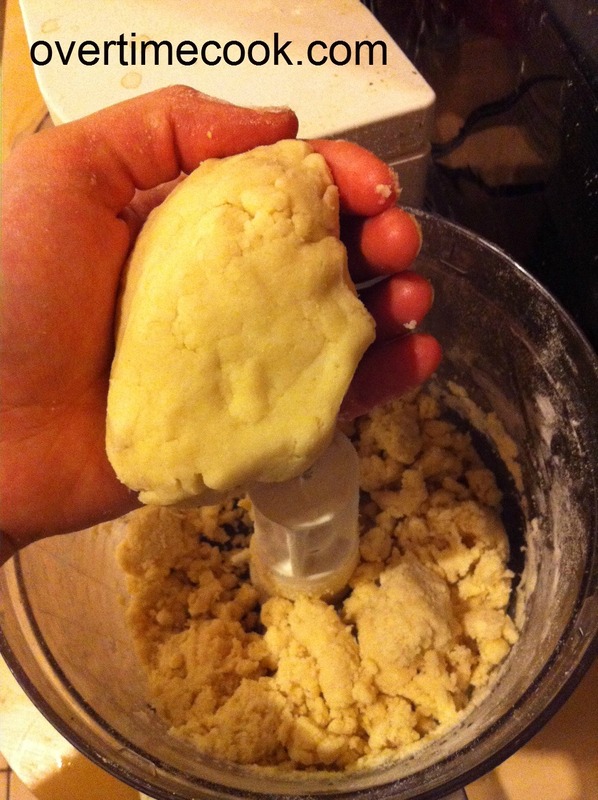 If you aren’t sure if the dough is good, try grabbing a bit in your hand. If it comes together nicely, it’s ready. If not, add a bit more water. Once the dough comes together nicely, it is ready to chill. 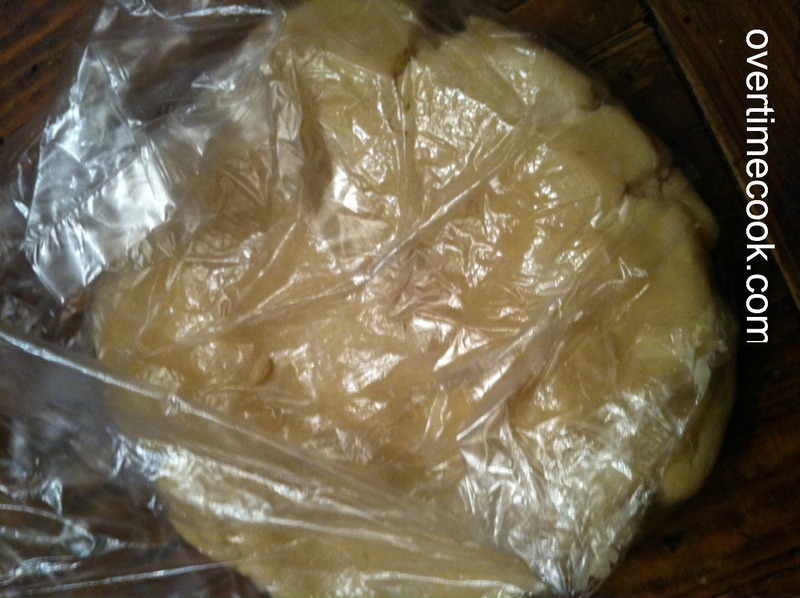 Form the dough into two discs, and wrap each in a plastic bag. Place in the freezer for about an hour. These are the basic instructions for making pie crust. 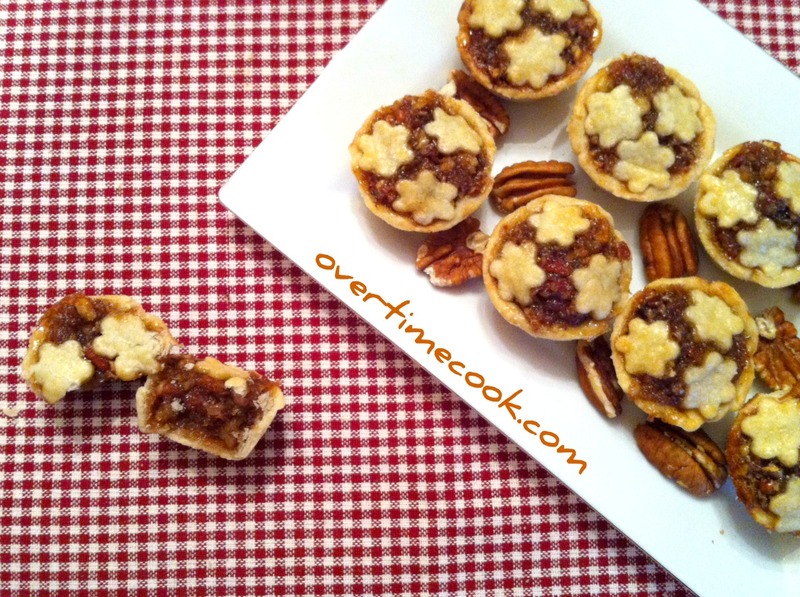 Beyond this point are the step-by-step instructions for making these gorgeous and absolutely adorable Itty-Bitty Pecan Pies. Cut circles out of the dough using the circle cutter you measured earlier. Set aside the scraps to use for the garnish. 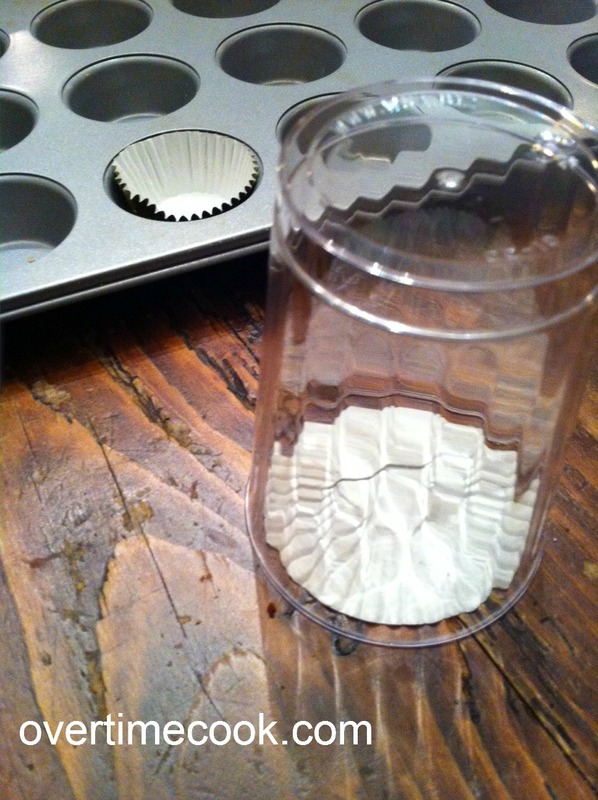 Place the circles inside the mini muffin cups, forming a cup up the sides. Try to stretch the dough to come up exactly to the edge of the cup. A 1-oz shot glass was the perfect size for the full-top. I used a mini cookie cutter for the flower. For the first method, I used a shot glass to cut a circle the size of the top of the pie. 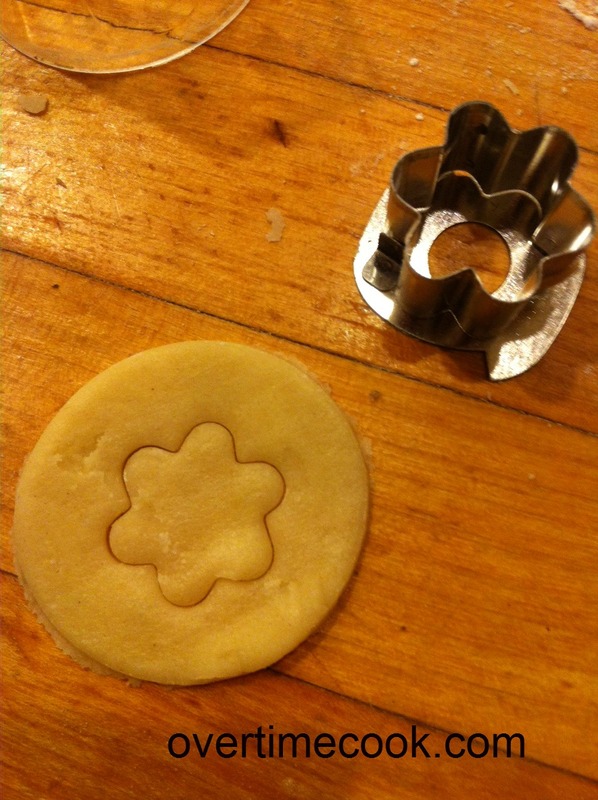 I then used a mini flower cookie cutter to cut the circle out of the top. Then, I placed the circle carefully over the pie, and pinched the edges together a bit. For the second method, I simply cut three mini flowers out of the scraps and connected them on the top of the pie. Once you top all of your pies, brush them with a bit of egg and sprinkle some sugar on them. Bake them for about 15-18 minutes, or until golden brown on top. Cool before removing from pan. Filling recipe adapted from the Karo Syrup bottle. 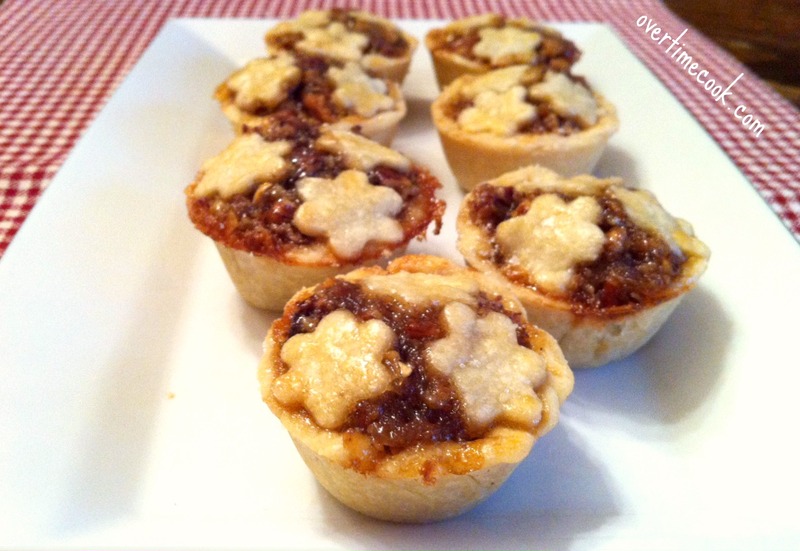 Follow instructions above to make pie crust and create mini pie cups. Whisk together all of the ingredients for the filling except for the pecans until smooth. 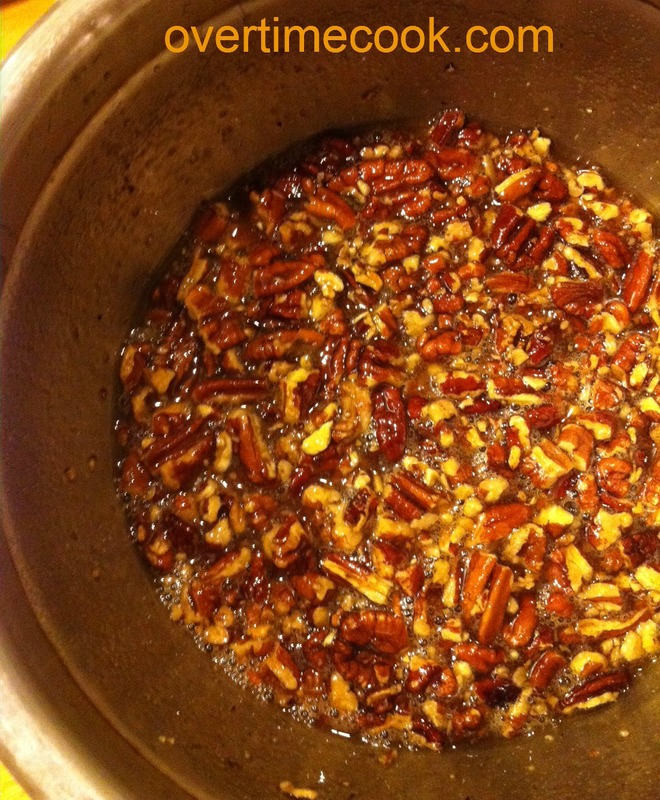 Add pecans and stir to combine. Fill cups and top as directed above. Bake at 375 for 15-18 minutes or until golden brown. Thanks for stopping by, and please let me know what you think! Oh, and come back soon, I have some phenomenal recipes to share with you! Where are the instructions and ingredients for the filling? 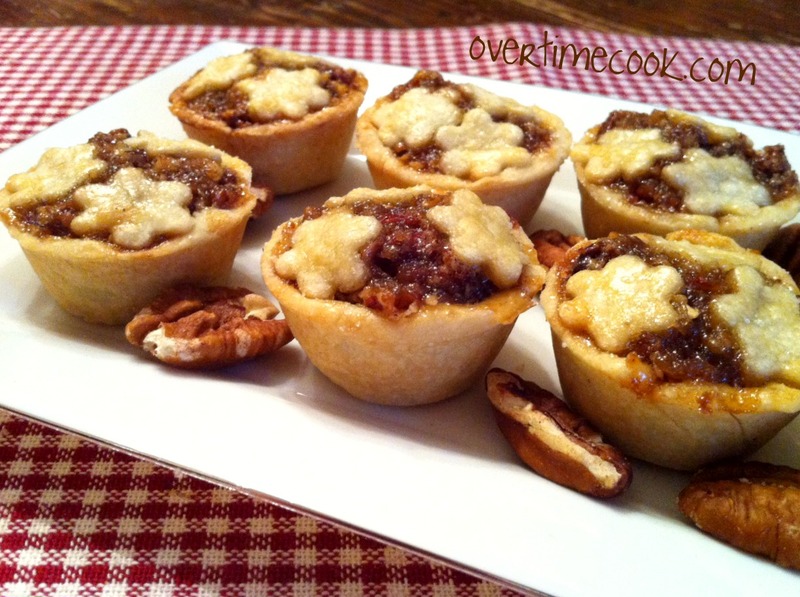 These are absolutely adorable and your tips for crust are great! yum. just recently discovered that i like pecans. You rocked these! Your co-worker is going to love them and I’m sure lots more orders are coming your way. Love it! 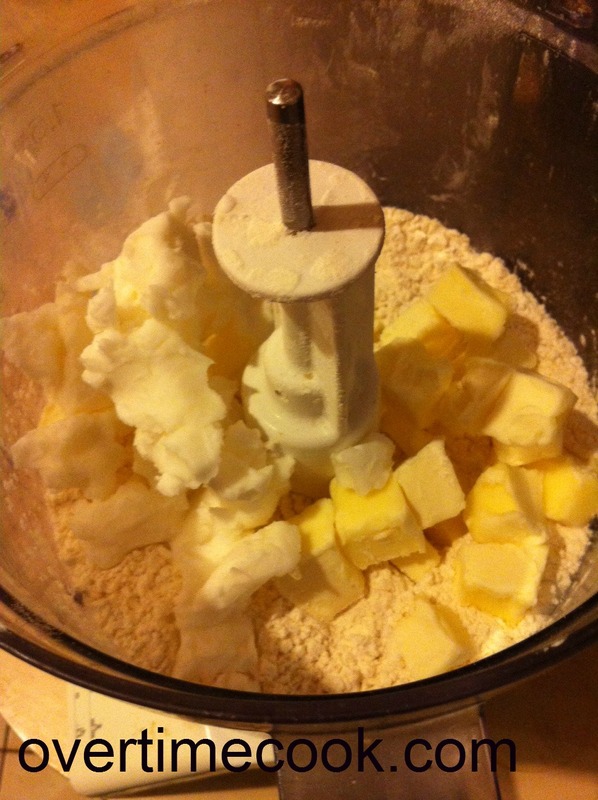 Pie crust can be tricky…feel like I’m always on the verge of over-handling it. The flour shapes are the perfect touch! These are a perfect dessert. Delicious and pretty. The step-by-step directions are great. Thanks!! These are so adorable! I’ll have to bookmark these for Christmas. 🙂 Thanks for posting, and for the pie crust tutorials. 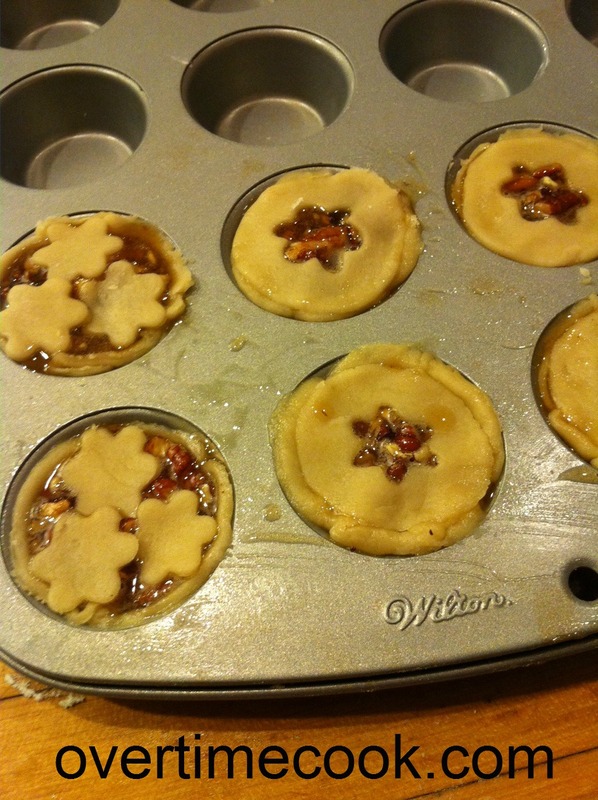 MMMMMMM,…I must try to make these fine little tarts! This looks heaven. Think I can make this in a normal 9″ pie crust?? Sure, but watch the baking time.